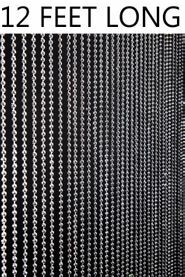 45 strands of gunmetal finish balls make up this fun beaded curtain. You will love the way the beads shine and sparkle. This curtain has the metal look, without the metal price tag or heavy weight. Made out of high-quality acrylic beads. 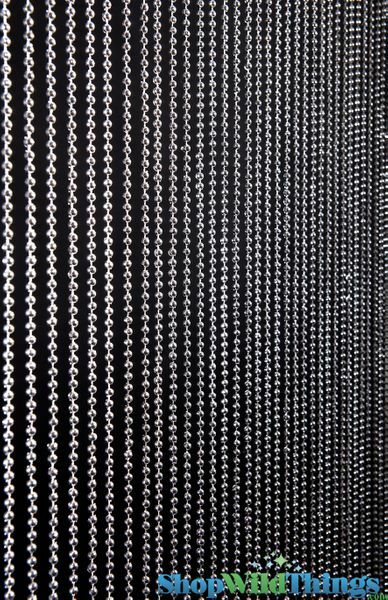 Our newest beaded curtain panel is 72" long and 35" wide. Will look great in a doorway or in a window. Try hanging in a room to separate areas too! Our beaded curtains are fun and functional...and our quality is absolutely the best. These beaded curtains are great for a modern, punk, or masculine room! Finally, beaded curtains for our men and boys!